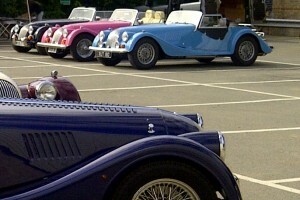 Thanks very much Morgan Owners Group for inviting us to your annual event held at University of Kent on Sunday. We loved the classy cars, especially the pink one! Didn’t realise that you had to polish not just the body work and the interior but also the underneath of the car for the display! And that the chassis is made of wood! Loved talking to all those who stopped by at our stand and glad you loved our cakes. We were sold out by 2.00pm!